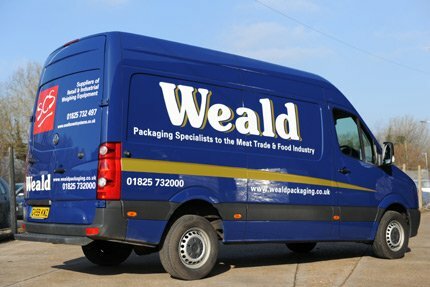 Weald Packaging vans can be seen criss crossing the home counties daily. we regularly cover the following areas every week. Suffolk, Suffolk, Surrey and West Sussex are covered by one of our vans at least once a week and some times more. For everything and everybody that is not on our route, or needed in a hurry, no matter where you are in the UK, we can get your orders to you in no time using our network of delivery companies, it doesn’t matter if it’s a single box of vacuum bags or a pallet of product, it will get to you in great condition, it will arrive quick and it will not be expensive. Monday London SE, N and E.
Overnight delivery service via Interlink anywhere mainland Britain. Overnight deivery service for pallets via Express European.